Fastening and sealing panel elements of various thickness is a simple action of pressing the lip seal into the groove against the panel. 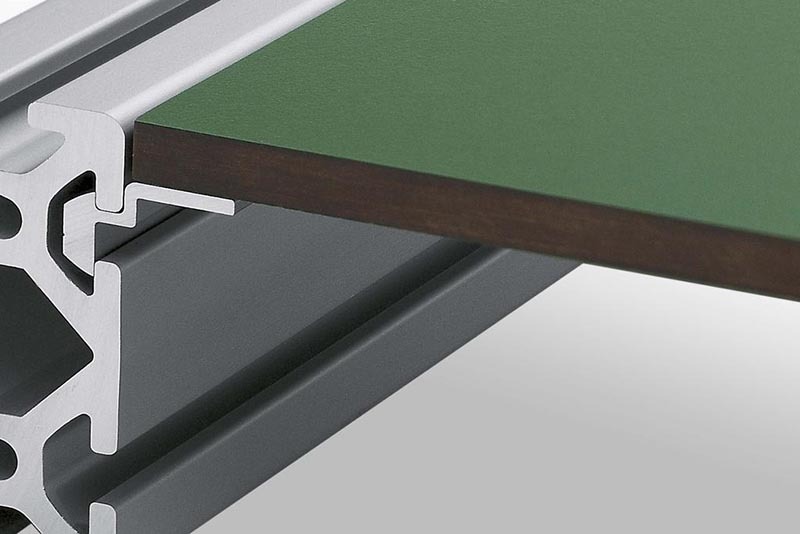 The version in grey blends in well with the natural anodized surface of the profile. The elastic material is resistant to cleaning agents and mineral oil. 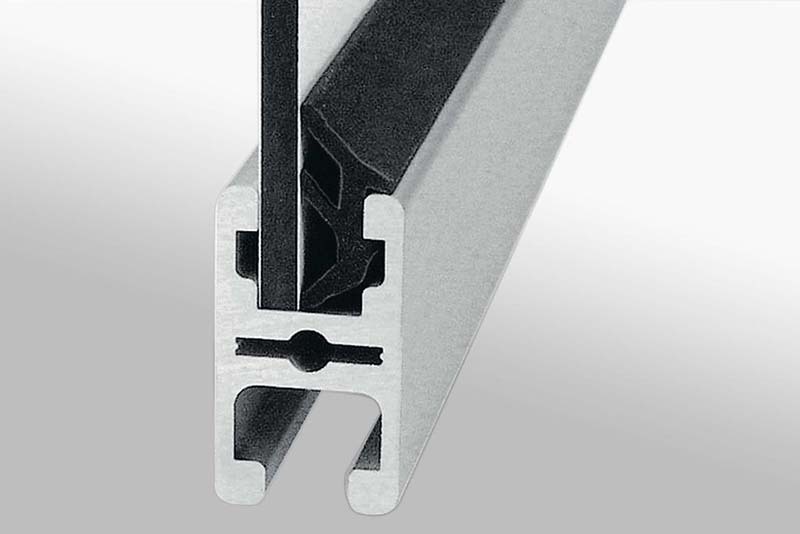 Multiblocks can be used to provide a secure method of fastening any panel elements to the groove. 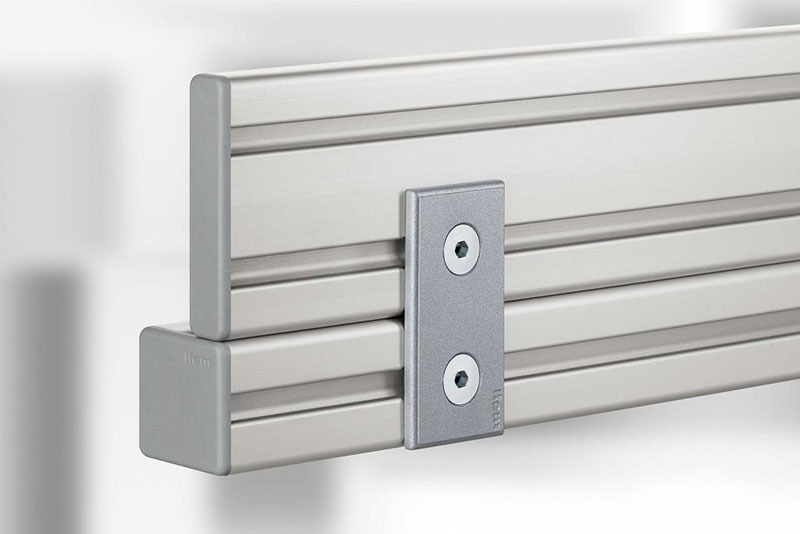 Benefits include a rapid and secure assembly or disassembly at a later stage and fastening at any position on both the profile groove and the panel. 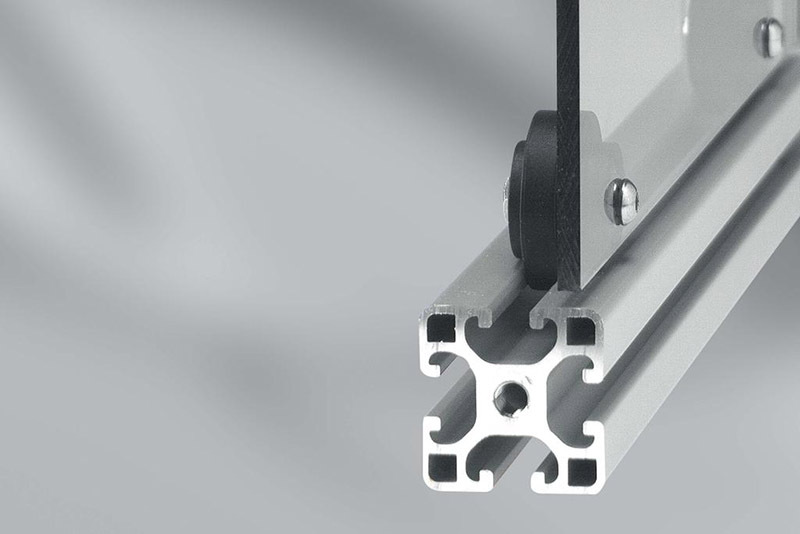 For securing panel elements to Profiles 8 without the need for additional machining. Tightening the clamping screw fixes the Panel Clamp to both the panel element and the profile. Particularly suitable for attachment of unframed panels etc. Not suitable for mesh and corrugated mesh. 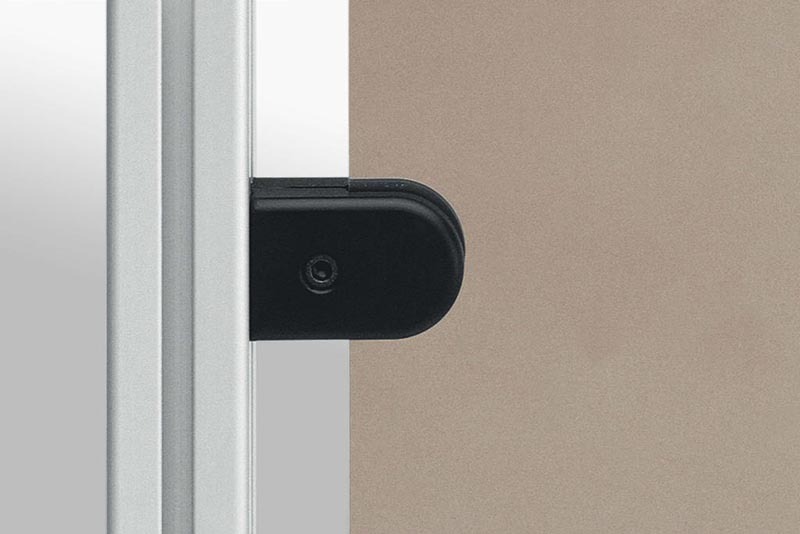 Light, intrinsically stable panel elements can be used as sliding doors in conjunction with the Castor 8. 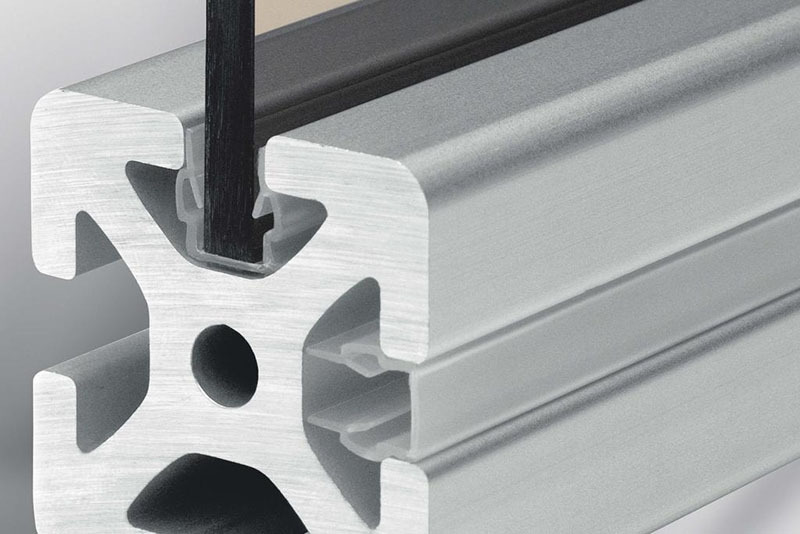 Rebate Profiles are suitable for universal fastening of various elements to Profile 8, including panels. Various panel widths are accommodated. 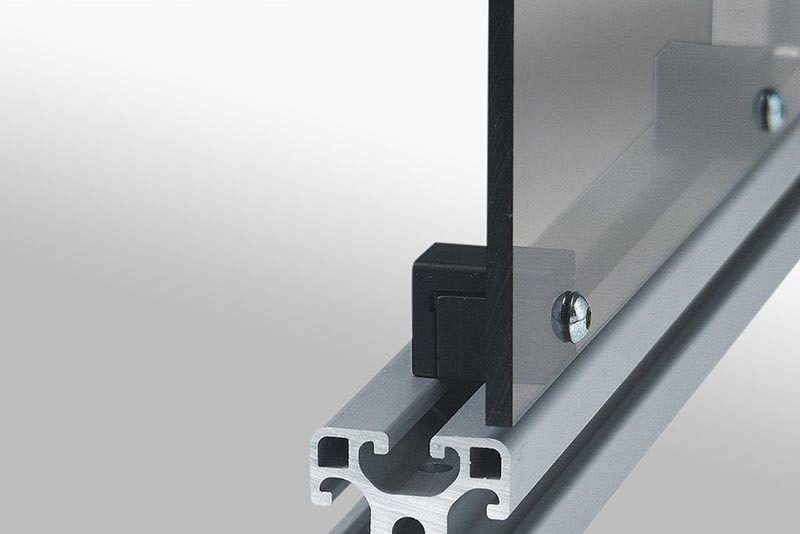 Although often used as a cover for the groove, Cover Profiles made of flexible plastic can also be turned the other way to secure panels inside the groove.